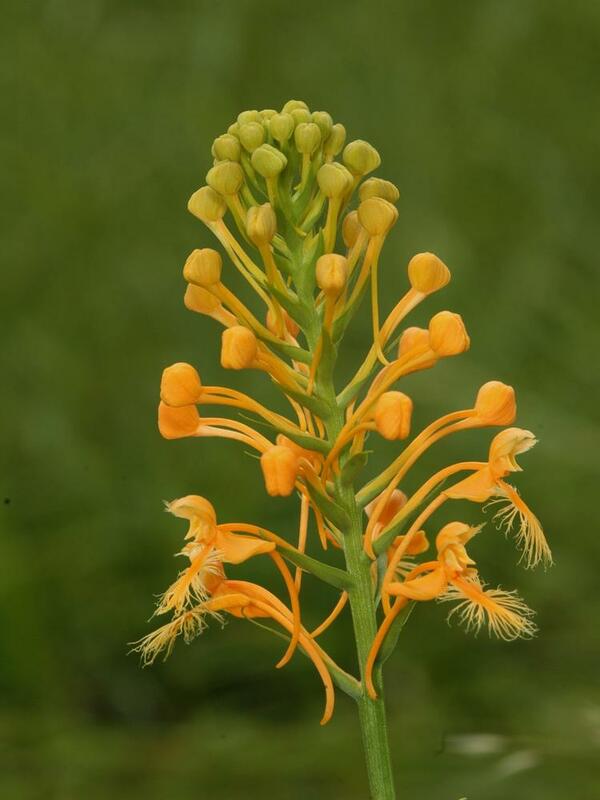 Platanthera ciliaris, commonly called Orange Fringed Bog Orchid, is widely distributed throughout eastern and central Canada and the United States, from Florida to Ontario, and around the Gulf Coast to Texas. 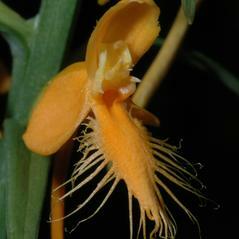 It is a large, showy plant bearing up to 115 bright orange or dark yellow flowers with a heavily fringed labellum. 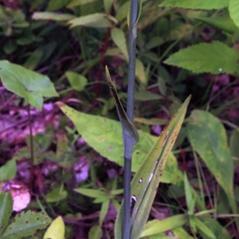 A long, cylindrical spur extends out behind the flower. 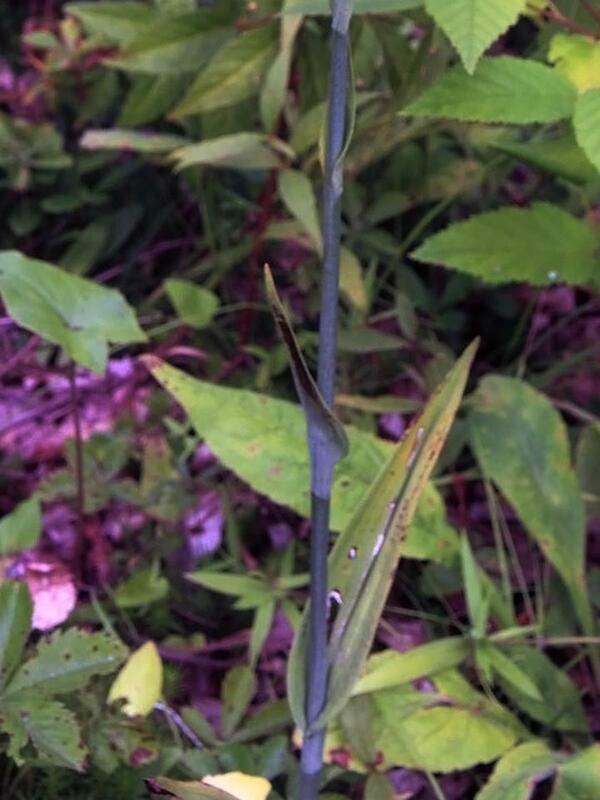 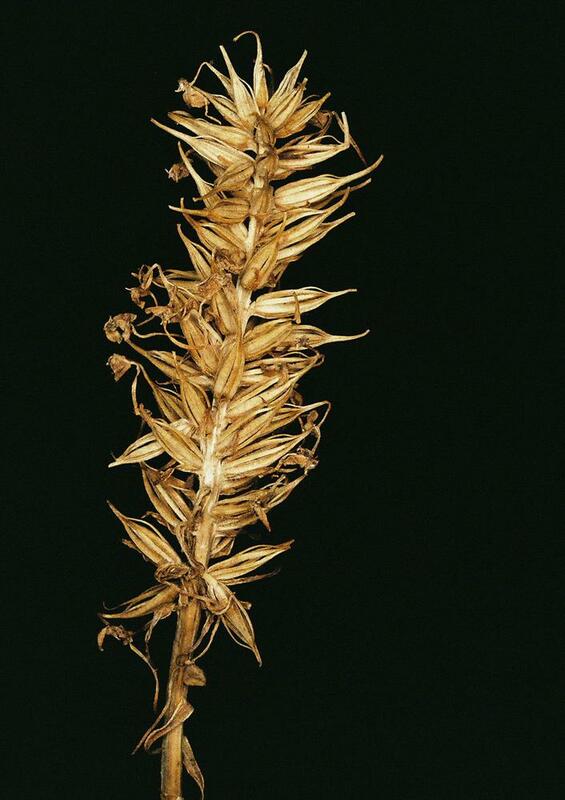 It produces 2-4 large, spreading leaves lower down on its stem, gradually reducing to bracts in the upper portion of the stem. 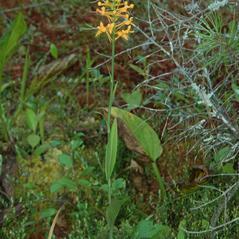 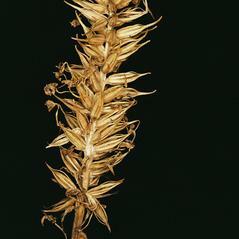 It can be found in moist meadows, marshes, bogs, and woodlands, as well as along roadsides. 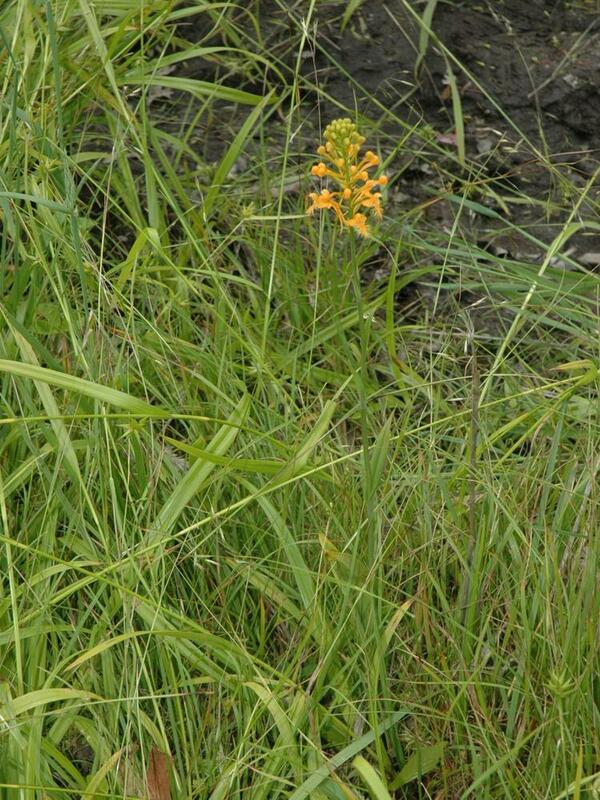 This orchid is known to form a natural hybrid with P. blephariglottis, named P. × bicolor, and with P. cristata, named P. × channellii. 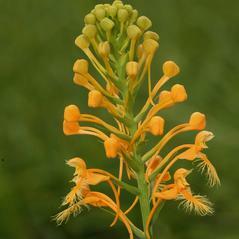 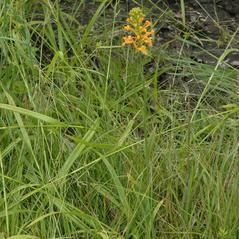 Platanthera ciliaris is considered globally secure, but is rare throughout much of the western edge of its range. 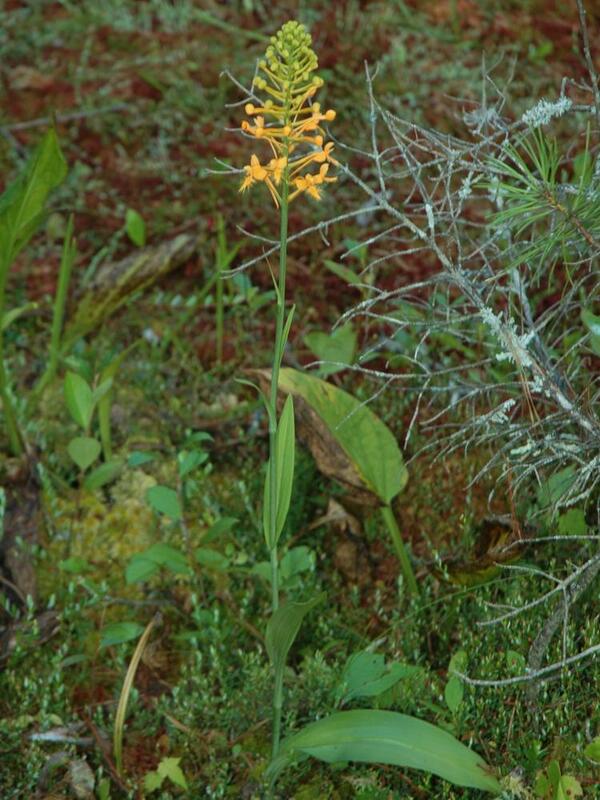 This orchid is pollinated by butterflies including Danaus plexippus, Papilio glaucus, Papilio polyxenes, Papilio troilus, Satyrium liparops and moths such as Hyles lineata, as they search for nectar. 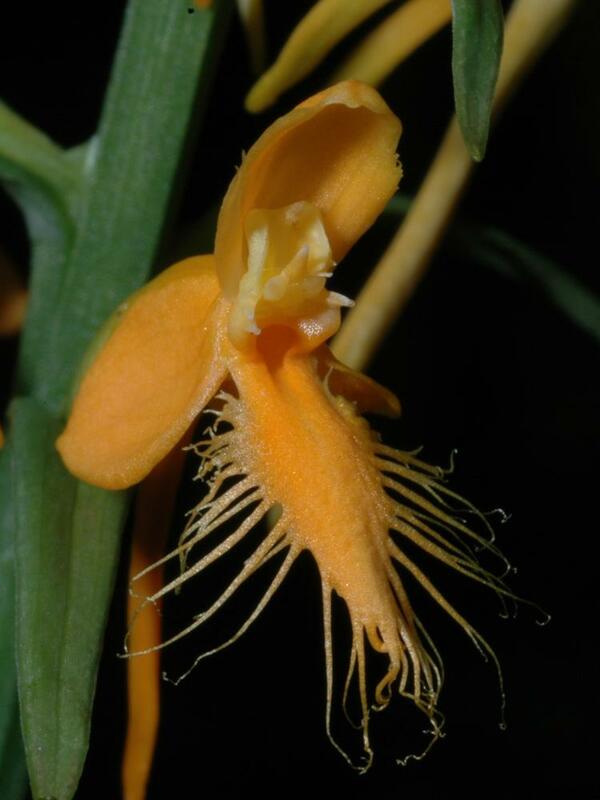 When the insect sticks its long proboscis into the flower to collect nectar, the pollinia attaches to the compound eyes and is carried to the next flower as it searches for nectar.